Right now, from this point on, you take your blogging more seriously. You’re going to overcome resistance, stop being a virtual wall flower & take your professional networking to the next level. This time next year, come Hell or high water, you’re going to be somebody damn it. Guest blogging is what’s going to get you there. You’ve shaken yourself of silly guest blogging myths. You’ve listed out the places you’d like to be guest blogging for, you’ve researched your topics, you’ve mapped out a strategy, and you’re ready to go. Unfortunately, your guest post is probably going to flop. Alright, fine… it does well on that first day. It gets tons of comments, people retweet it a bunch… great, then what? What happens next? What happens a week from now? Chances are your guest blogging efforts will all be in vein- sucked into the oblivion known as the social media life cycle. You’re extra aware of the inherit SEO value that comes from guest blogging for a popular blog. But before we get into that, let’s talk about the 3 types of people who’re seriously guest blogging right now. The Networker – You see them always within the same circle. Each blog shares a common ideology, maybe even a similar voice, and often cycles through the same writers. Because these popular blogs often share audience, there is generally less friction to “establishing yourself as an authority” within that community. With that however, these guest bloggers run the risk of being “absorbed” – In other words, you’re not really blogging, you’re just adding content to their site. Without moving beyond their comfort network, the readers that come back to their site subconsciously view this blogger as an offshoot of the larger blog. When a readership is only a smaller percentage of a larger blog, there is little room for cross pollination, introduction of new ideas or healthy debate among readers. The Nomad – These guest bloggers are the opposite. They look for guest blogging opportunities with little regard for how the publishers or readers are connected. They spread their message to everyone who will listen. From far away, their style is almost chaotic. The upside; if they stay on topic and nurture the community, they can attract a diverse audience with the potential for lively and enlightening conversation. The downside; if viewers are so different where no common ground is found, the “community” may never flourish. The conditions have to be juuuust right and this style of guest blogging requires more involved community management. The Nomad also always risks losing momentum between guest blogging opportunities, as they don’t bother asking for introductions. The Professional- These guest bloggers are a hybrid. They’re not loyal to any one community, but are friendly with all. They are often leveraging their networks and finding new opportunities. They spend hours researching an audience, tearing apart the most popular articles, analyzing the comments section in search of the exact right topic. They write in such a way that “borrows” the best elements from the most popular posts, without sacrificing their voice. Doing this, the professional remains familiar but is able to introduce new ideas to an established readership. The downside; this method requires a TON of research and is incredibly taxing on time. There is an endless level of dedication to developing and refining your content marketing strategy, expanding your network, remaining true to your vision, and often having to defend what you believe. Right now, which guest blogger are you? There is no wrong answer, and each method can create a sustainable, if not comfortable income. You must become The Professional. The Professional doesn’t create just to get their name out there. They use content to consistently attract new readers to the publisher’s site. They try to move readers towards a conversion goal the publisher might have, like make more sales, or capture more email addresses. The Professional considers the long term SEO value of the article they’re writing, and tries to target phrases that will bring more search traffic. They understand all of the challenges that come with running a blog, and use their content to “lighten the load” for the publisher, not simply leverage the hard work that publisher did in the past. Instead of treating a single opportunity as a means to “promote their brand”, they use it as a way to become an asset to the publisher and lay the foundation for a profitable long term relationship. Here’s how to guest post like a professional. But the basics are, read. Read the “most popular” posts. Read the comments. Read what people tweet. Read as much as your brain can handle. Get to know the audience and the blog so well, there is no doubt that your post will do well. If you do nothing else, this alone will put you miles ahead of other guest bloggers and show you’re serious about providing value. Guest blogging for a big site means you get to leverage the SEO work they’ve already done, and rank for terms you otherwise probably could not rank for on your own. 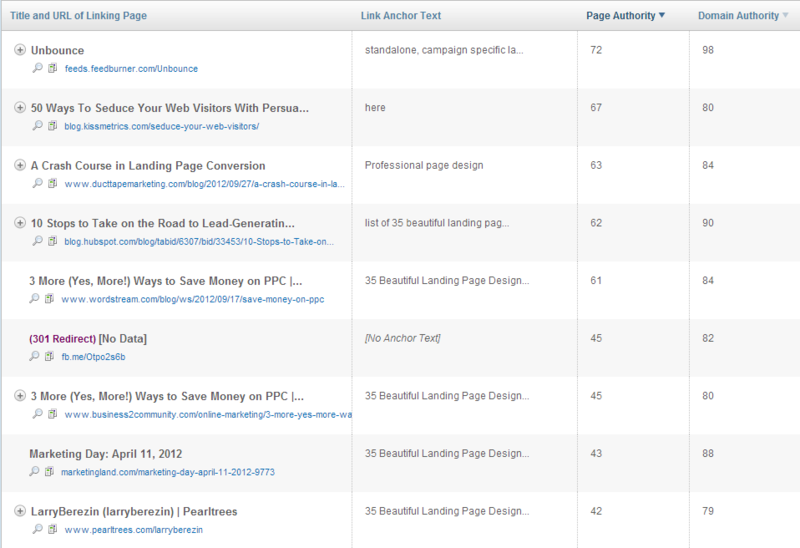 With all those links pointing to older posts, YOUR article will have a much easier time ranking for competitive terms. So, a little keyword research will go a long way. Let’s say I was writing a guest blog for Copyblogger, and I noticed that many of the top articles deal with “landing pages“. Audience research shows that the subject of “landing page design” hasn’t been covered extensively, but would probably go over well with the readers. 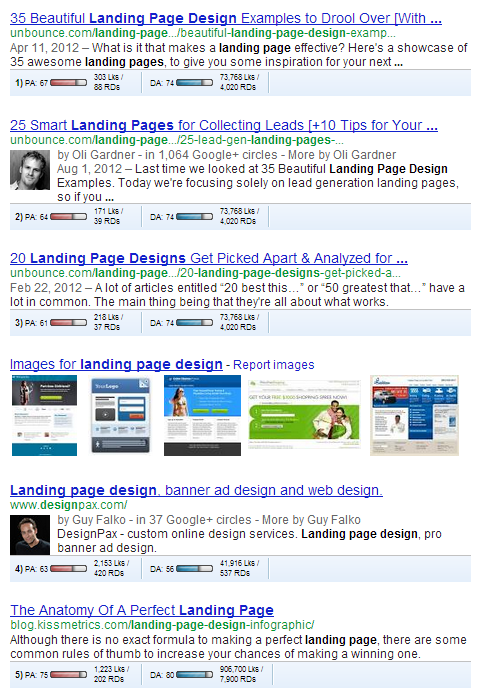 Because I know “landing page design” is a high competition keyword, I want to know who I’m competing against. Some pretty influential sites here, so what are the odds we can get a top 10 ranking? This is where the real fun kicks in. The idea is that you want to get a snapshot of what it would take to outrank the top pages for this search result. Seeing that your guest blog is probably not going to have any links pointing to the page right away, what’s important to look at on this chart is the amount of Root Linking Domains & Domain Authority. Of course, SEO is never an exact science, BUT, when you consider the root linking domains that point to Copyblogger (our guest blogging target) and the overall Domain Authority, it’s clear there is a very strong possibility that an article optimized for “landing page design” can easily find its way into the rankings. Knowing all of this gives you a much better idea of what it’ll take to get this post to rank. Click Right Here for a free report on gently spoon feeding search engines the terms you want to rank for. Now that you’ve done all of your research, it’s time to write your blog post. But remember, in order to rank for a key phrase you have to tell the search engines what the article is about. In theory, if you’re able attract more conversation & links to a page that knows what it wants to rank for, that page will rank for the intended keyphrase. It seems simple, yet so many opportunities are lost on guest bloggers. They get wrapped up in what the post is going to do for them, they lose sight of the long term value. If the website allows you to publish a byline (most will) this is your opportunity to associate your name as an authority on the subject matter. Not surprisingly, when a guest blog doesn’t have an optimized byline, the blog’s publisher (not you, the post’s author) receives credit for the article. What a shame, considering you spent so much time researching and writing, only to be overlooked by the audience you intended to impress. Sometimes, the byline is the only place you’ll be allowed to link back to your own site, so it’s important you make the most of this final “button” in order to maximize your click through traffic. Whether it’s the only link or not, it’s a good idea to create a custom landing page to convert those adventurous visitors that click your byline into email subscribers. About The Author: Tommy Walker is a seasoned landing page developer and lead generation specialist. He has designed 100’s of pages for CNN, HBO, ABC, and various other three lettered companies. Click here for the “40 essential tips to design landing pages that sell” report. The landing page would then have a welcome video (if you’re ambitious, a solid intro paragraph if not), and a free download available in exchange for an email address. If that guest blog ranks well, and your byline attracts clicks, you essentially create a four part funnel (discovery via search engine, reads article, hits landing page, enters email address) which starts a lead nurturing and warm up sequence to sell any number of related products on an ongoing basis. Optimize that byline, link it to a custom landing page, get more leads. I use Premise to create my landing pages. The WORST thing you can do is assume that the publisher’s audience is going to start the comment storm. In addition to the standard blog promotion strategies, don’t be afraid to email other popular bloggers whose audience might benefit from the article. Remember how the “Keyword Difficulty” tool gave us the top 10 pages for a particular keyword? Well if you notice, it also tells you how many links are pointing at that particular article. At this point, it’s only a matter of sending out a lot of emails and keeping track of who responds on a spreadsheet. BUT WAIT couldn’t emailing like this come across as spammy? Absolutely – if you go about it the wrong way. The trick is to make sure your email is succinct and positions them ask you for the link. Here’s an email I sent out for the last post I wrote about on this site. Subject: Was this what you thought when you started ? So it seems like I see you in quite a few places when I’m looking for guest blogging opportunities. I’m curious, when you started guest blogging, were you under the impression that it would only take posting with a handful of big names to get your name out there? I did. I know many clients are under that impression too. Of course, you know now it takes way more than that. Anyhow, I just wrote about that on my blog, and was curious if that sounded like something you think your readers might find interesting? I hope you’re having a wonderful day and have a great weekend. No you may not have a relationship with these people, but taking a soft, risk-free approach offering something valuable their audience, aren’t you kind of doing them a favor? Think about it; they get to take credit for “discovering” a great piece of useful content. Beyond that, it also gives you a jump-off point for conversation, which for most of these people, is a huge change of pace from the greedy “Hey can you do this for me?” style pitches. Once you get your email messaging right, at this point it’s really just a numbers game. Truly, your willingness to grind this out is what will separate you from every other wannabe out there. Protip: Keep a spreadsheet of the sites you contact, who responds and who shares your stuff. These are people you’re going to want to follow up with for future opportunities. If you are The Professional, you’ll leverage this guest post to land future opportunities. At this point it is vital you keep a spreadsheet of all your guest posts, and the keywords you’ve optimized those posts for. That way, as you continue , you can link back to those older posts with the appropriate anchor text. Doing this ensures your older guest posts are always getting links from other high profile sites; which in turn improves and fortifies their positions within the search rankings. And when your post becomes a steady, reliable source of traffic – or rather makes a popular blog even more popular – that doesn’t go unnoticed. You’re leveraging your guest blogging, doing the hard work of getting big links for everyone else. And the more you guest blog and link around, the stronger all of those links become. Don’t be mistaken, it’s hard work. But it’s hard work that earns you respect because most everyone else refuses won’t do it. This proves you’re strategic & willing to fight for your ideas. Not be insulting by leeching off the hustle someone else did to get themselves to the place they are. It’s not easy, and it doesn’t happen overnight. But damn it, it’s worth it. So what are you going to do; spend another year hoping your blog gets read? Or are you going to do something they can’t help but notice? 1) I’ve noticed that many of the bloggers experiencing traffic gains from guest posting write in the internet marketing/blogging/self-help niches. From your experience, does guest blogging work as well in other niches (e.g. travel where posts are more specific to certain regional or local interests)? 2) How often should one be striving to publish new guest posts? For example, if I post once a week on my own site, how often would you suggest publishing elsewhere? Or is the quality /reputation of the guest post recipient more important than frequency? Thanks again for a great article (and overall for a compiling excellent resources for the perplexed)! 1.) You notice that because these are the fields that talk about it the most and make the biggest deal about it. The principle of guest blogging is really kind of old and universal though, think of the featured artists in the music industry, and it’s the same idea. With regional or local interests, the biggest thing you want to be aware of is the overall size of the audience. My guess is, it might be a little more difficult to find places locally with bigger audiences, but when you do, it’ll be easier to get bigger gains. Keep in mind though, I’ve published with sites that have well over 100,000 email subscribers, and have often seen minimal gains on the one off post. The more I publish on that site, the higher the gains are because there’s a familiarity, but that takes time. See the guest blogging myth post to read more about that. 2.) That’s going to be dependent on how frequent you want to write and how fast you want to grow. It’s not a one sized fits all solution. With my site, I’m going through some serious restructuring right now, and once that’s done, my hope is to publish a new guest post every week, while publishing on my own site once a week as well. My advice is to find time to write every single day, but start publishing only once a week. When you get in the habit of doing this, you’ll be able crank out better content, and even if it’s not all suitable for your site, you can start finding homes for it on other people’s blogs. To answer the second part of this question… It’s both. Imagine seeing a celebrity on television endorse a brand only once. Would that have a long lasting effect? If Michael Jordan only did one Hanes commercial, would it have done anything for either of them? Probably not, right? Guest blogging is more about aligning two “brands” over longer periods of time than it is about a one and done, let me grab a piece of your audience and move on kind of thing. If your post goes over well, you may get invited to write again. Even if it doesn’t, you should follow up and say, hey would you like a follow up piece, or propose another idea. Great article… I can’t think of a way that i would be able to successfully employ these methods for my poems website.. But, maybe I should try submitting some poems to other websites :) Thanks for the info btw. Love this post needed this. Just started my blog 2 months ago for young entrepreneurs and am having trouble getting the type of traction I’d like will be studying this article over the next 2 days. PS. Why can’t i subscribe to your RSS feed? I hope I’m not like the guy on the right! lol. I think as newbies we all start off like that but as time goes along, we grow to become better guest blogging. Great post Tommy, Thanks for reaching out to me and sending this over. I recently signed up for a course with Danny Iny of Firepole marketing and he strongly runs his business all focused around guest blogging. This is something I want to start incorporating into how I build relationships and generate traffic / comments to my personal blog. I have signed up on your list. “In addition to the standard blog promotion strategies, don’t be afraid to email other popular bloggers whose audience might benefit from the article.” I need to start implementing this into my schedule. I’ve been so focused on writing and following up on leads that I haven’t spent time emailing popular bloggers who’s audience may benefit from my articles. Thanks for the reminder! Way more technical than my typical approach – I learned something. Well done and thanks. As support for your argument here, I took Jon Morrow’s Guestblogging course, which was instrumental in getting me to the next level. Jon’s help was key in landing me my first guest post on Copyblogger at the end of last year. I had never guest posted for a big blog and went all out. It was called 20 Content Marketing Lessons From The Immortal Jimi Hendrix. Brian Clark said it was one of his favorite posts ever and now I have a relationship with him . I set up a landing page from my byline and i got a bunch of opt ins. They included the post in their Best of 2012 list. I was blown away. So you are spot on about the importance of doing this right. So for anyone here wondering if it’s worth the effort to aspire to the pro guestblogger status, I can tell you IT IS! Thanks for the juicy details on how to go about this. Seriously one of the best investments I ever made in my own career! I love how hands on he gets, it doesn’t just help you with becoming a better “guest” blogger, but a better writer in general I think. I LOVED that Hendrix post! Very very well done. It’s good to see you leveraging beyond too, I think that part is important and one that a ton of people miss out on. Guest blogging NOT only provide authority back link to a website, we can also drive targeted traffic and target a keyword in to top of the Google. This one strategy has multiple benefits when we do it with right phase. Thanks :) to the wonderful article Tommy. Great article! I have published lots of guest posts but most authors do not target keywords. If they send me a topic idea, I usually do the keyword research to help drive traffic. For “The Professionals” consider guestauthor.org to find authoritative blogs accepting guest posts. Interesting, that’s a pretty solid stance Dave. Curious, what brought you to that decision? Your articles always make my head hurt Tommy but in the best possible way! The amount of effort you put in, and the way you ‘pull back the curtain’ is incredible. Guest blogging really isn’t my thing but there’s some great tips about keyword research and blogging in general that I’m just going to have to look deeper into. That’s intense. I’m working on an article now. I’ll let you know what happens. Thanks! :-P Intense… I like it. Excellent article – never thought of linking to other sites where my article is posted. Brilliant! Really, it’s about creating a net and leveraging. Once I started looking at it that way, it was like peering directly down the rabbit hole and seeing exactly how far down it went. One of the definite issues with guest blogging for me was the AFRAID factor. Afraid of getting turned down. Afraid of getting *not read*. Afraid of failing. Some great tips here to help be stop being so afraid. That fear can be crippling too, I know whenever I DON’T guest post, it’s because I’m afraid of exposure. I’m afraid of exposing what I know, afraid I’d have to stand up for my knowledge, afraid I’ll be misunderstood or hated. and worst of all, afraid I can’t handle it. Whoa, that’s one heck of an article!!! You’ve really taken it to the next level…. 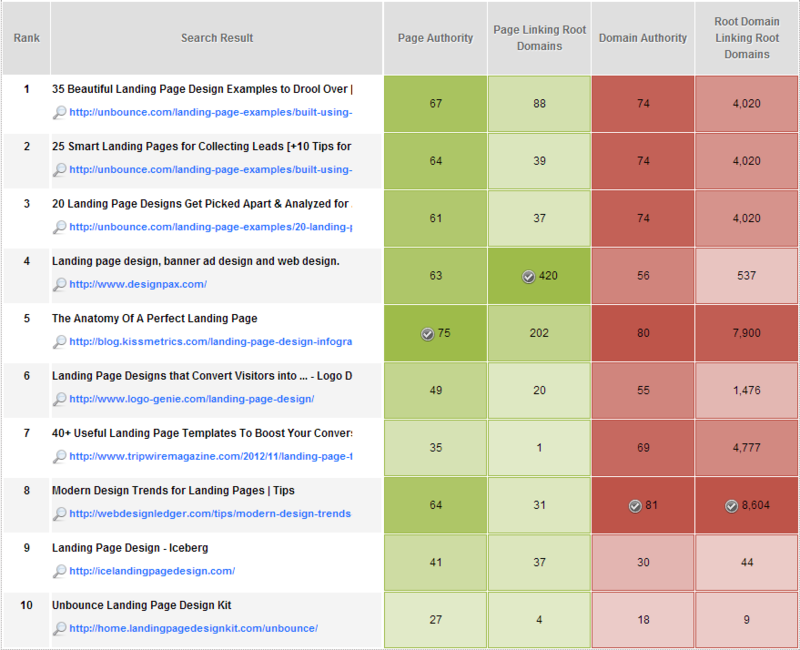 I never thought of doing keyword research to find the long tail keywords of the host blog, but it makes so much sense! Thanks a bunch for putting this article together!! !